Q. 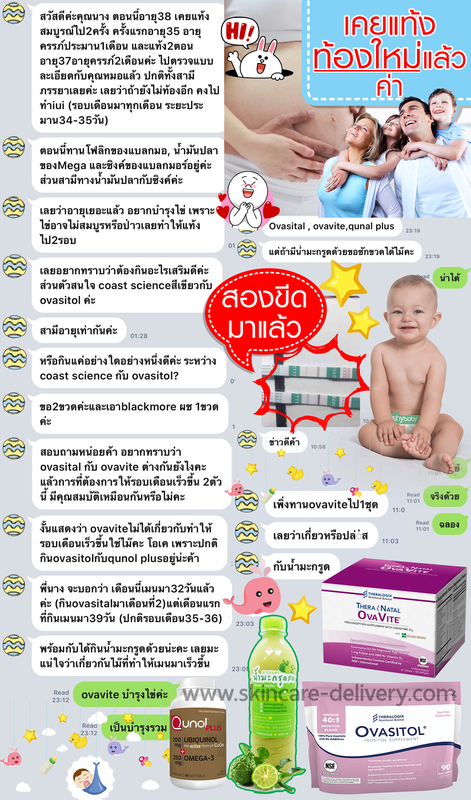 How is TheraNatal OvaVite different from other prenatal supplements? 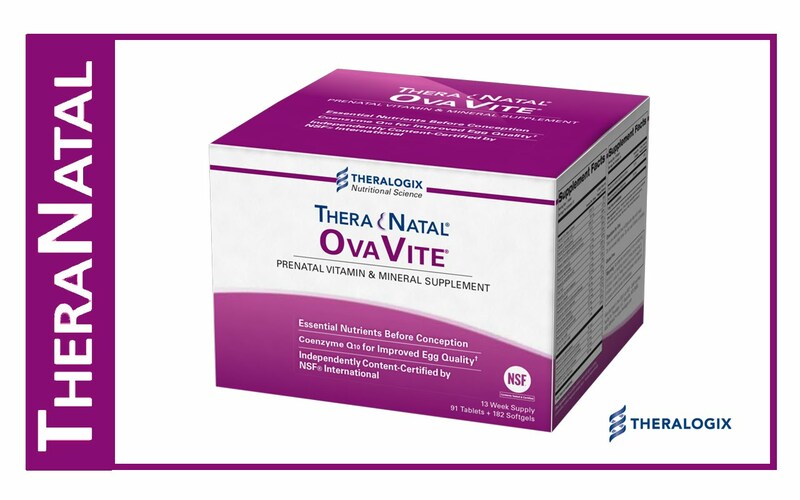 TheraNatal OvaVite is a daily preconception prenatal supplement for women in their mid-30s and beyond, or for any women with egg quality concerns. 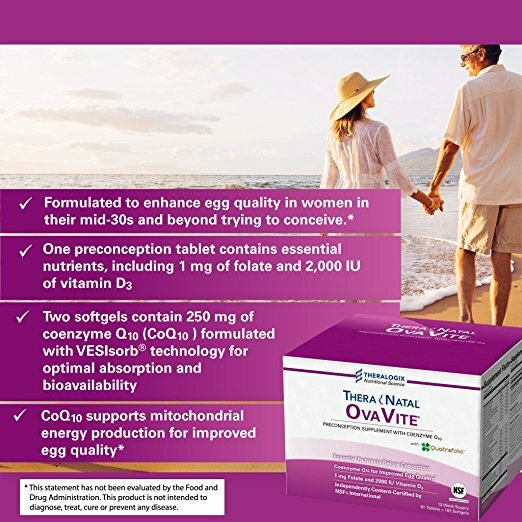 * It is designed specifically to prepare your body for pregnancy, with 1,000 mcg (1 mg) of folate, 2,000 IU of vitamin D3, 100 mg of choline, 220 mcg of iodine, 250 mg of highly bioavailable CoQ10 formulated with patented VESIsorb® technology, and other fertility focused ingredients. VESIsorb is a patented colloidal delivery system that has been shown to improve the absorption and bioavailability CoQ10 by 300-600%, compared to other oil-based CoQ10 supplements. This is important because CoQ10 is a large fat soluble molecule which is difficult to absorb even when taken with food. 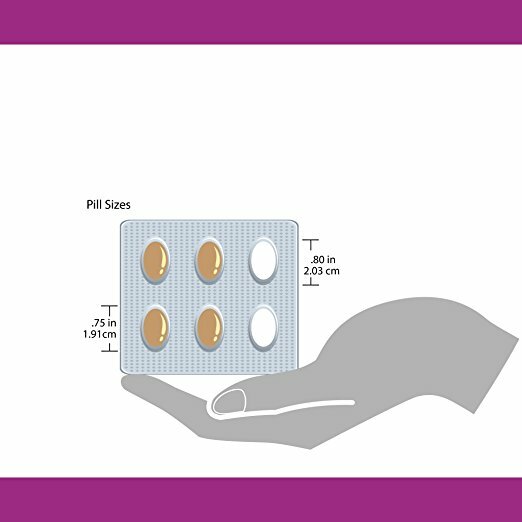 This means that each 125 mg CoQ10 softgel in TheraNatal OvaVite provides a minimum absorbed dose of 375 mg of CoQ10. Q. 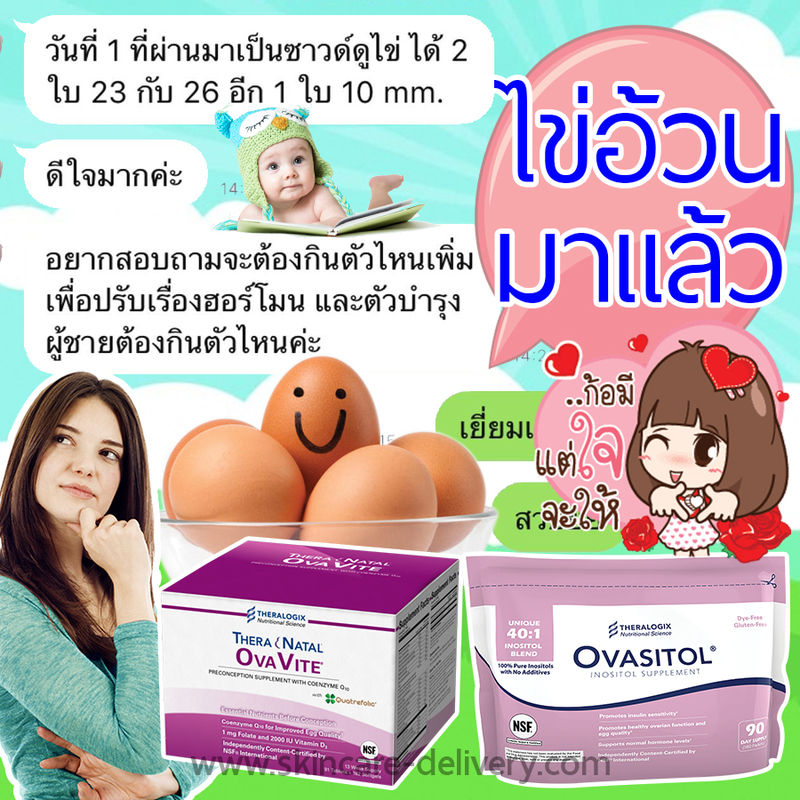 Should I continue taking TheraNatal OvaVite once I find out I'm pregnant? The nutrients in TheraNatal OvaVite are safe to take during pregnancy. The tablet in TheraNatal OvaVite supports your nutrient needs while you are trying to conceive and during early pregnancy (through your first trimester). While it is safe to take the CoQ10 softgels during pregnancy, there are no known benefits to continuing them once you find out you are pregnant. Before beginning your second trimester, it is best to switch to a prenatal vitamin designed for pregnancy, like TheraNatal One or TheraNatal Complete. Q. What is the difference between TheraNatal OvaVite and TheraNatal Core? 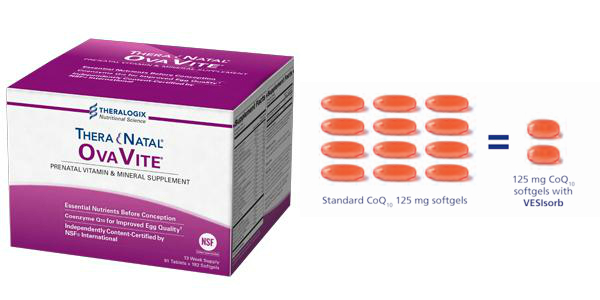 TheraNatal Core is a daily preconception tablet for any woman trying to conceive. 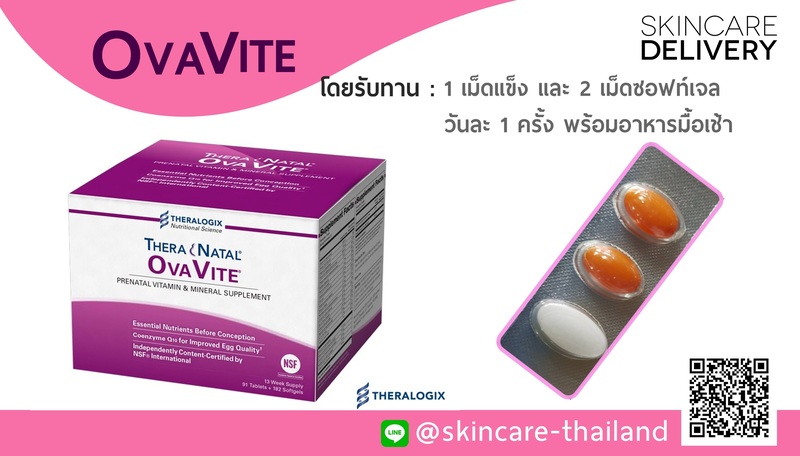 TheraNatal OvaVite is comprised of the TheraNatal Core tablet PLUS two coenzyme Q10 (CoQ10) softgels. CoQ10 is a nutrient that supports mitochondrial energy production for improved egg quality. * Egg quality declines with age, women in their mid-30s and beyond may want to consider TheraNatal OvaVite. Q. 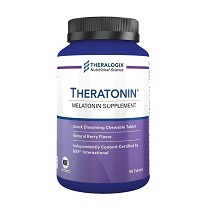 Can I take other nutritional supplements along with TheraNatal OvaVite? Yes. 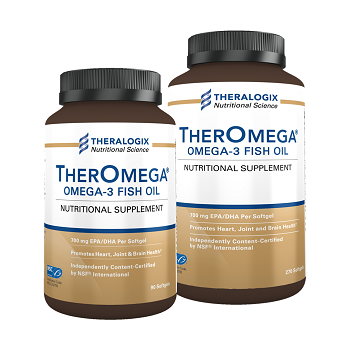 Certain other supplements can be taken along with TheraNatal OvaVite (like omega-3 fish oil or other single-nutrient fertility supplements such as DHEA, inositol, and others). 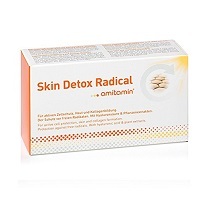 However, do not take any type of multivitamin, other prenatal, or additional CoQ10 while taking TheraNatal OvaVite. Q: Can I take TheraNatal OvaVite if I'm allergic to shellfish? Yes. There is no shellfish in TheraNatal OvaVite. If you have reacted to radiocontrast material or antiseptics which contain iodine, you may still be able to safely take TheraNatal Core even though it contains iodine. These reactions are commonly confused with sensitivity to iodine or shellfish, though studies have shown that they are not related. Q. Does TheraNatal OvaVite interact with any prescription medications or other supplements? Yes. TheraNatal OvaVite may affect the absorption of certain prescription medications. Coumadin(warfarin): Studies show that the low dose (100 mcg) of vitamin K is unlikely to affect INR, and may help stabilize INR levels. 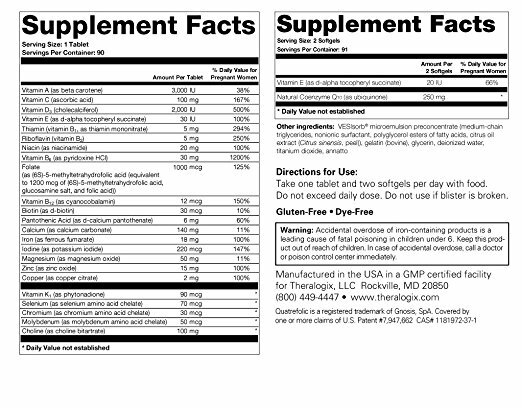 Do not take TheraNatal OvaVite with other multivitamins or prenatal vitamins. If you take a single-nutrient supplement (such as calcium), check your total intake from all supplements, including TheraNatal OvaVite, to ensure you do not take more than the safe upper limit of the nutrient.